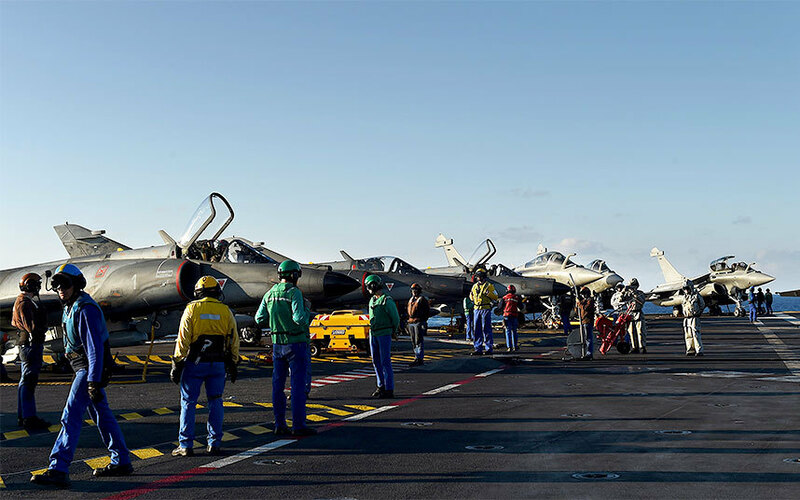 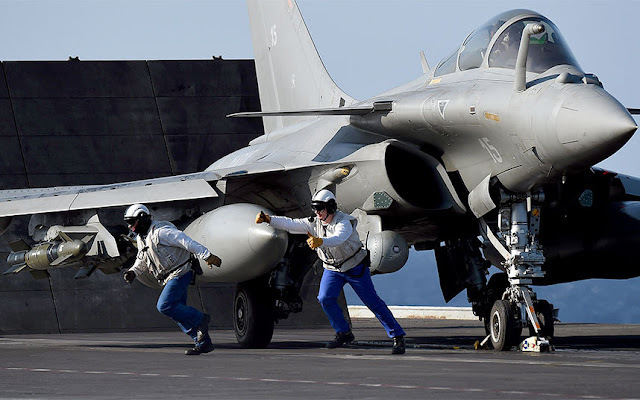 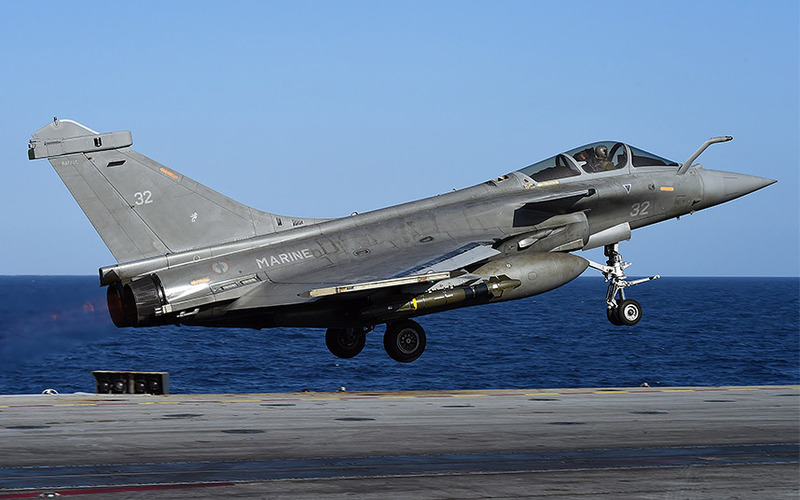 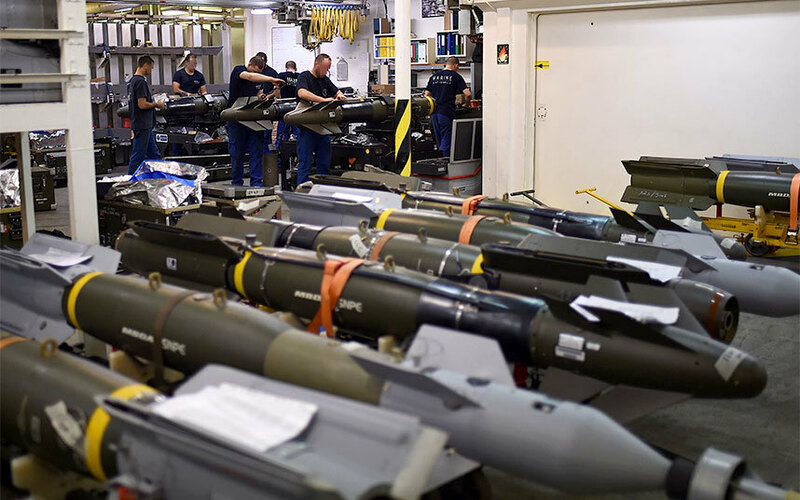 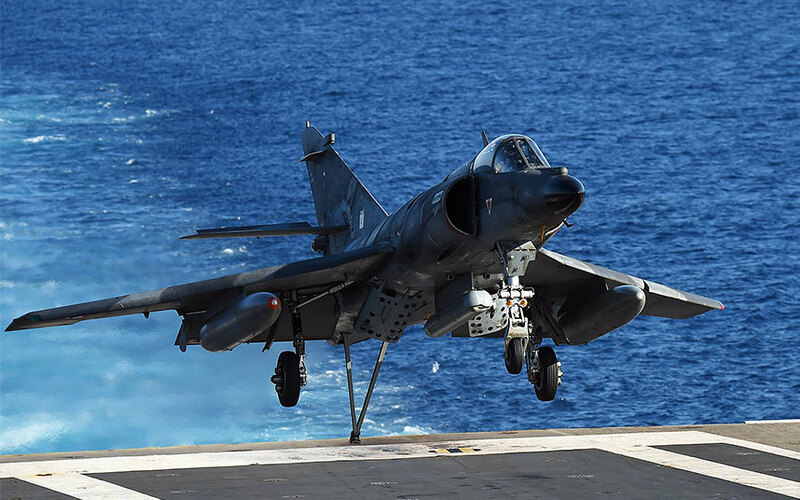 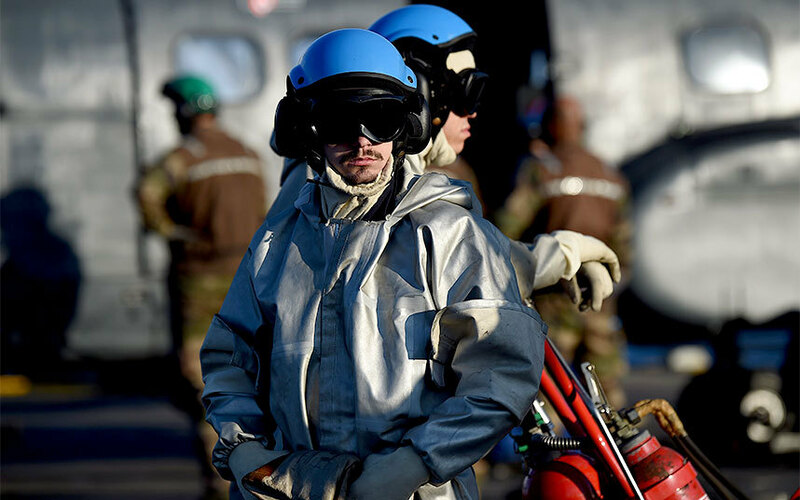 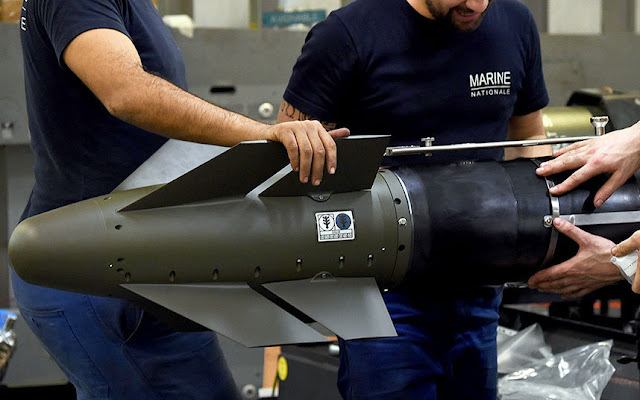 Warplanes have taken off from France's Charles de Gaulle aircraft carrier, newly deployed to the eastern Mediterranean, for operations over areas held by the Islamic State group in Iraq and Syria, military sources said. 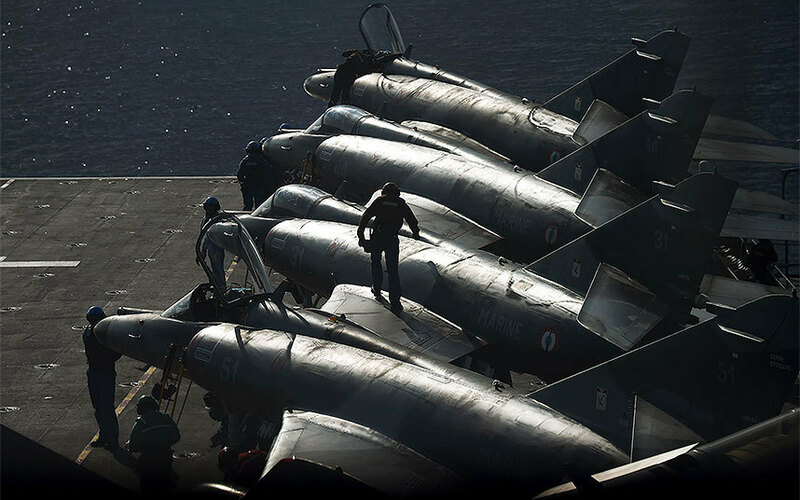 The following pictures, taken in the lead up to the start of operations, show preparations aboard the vessel. 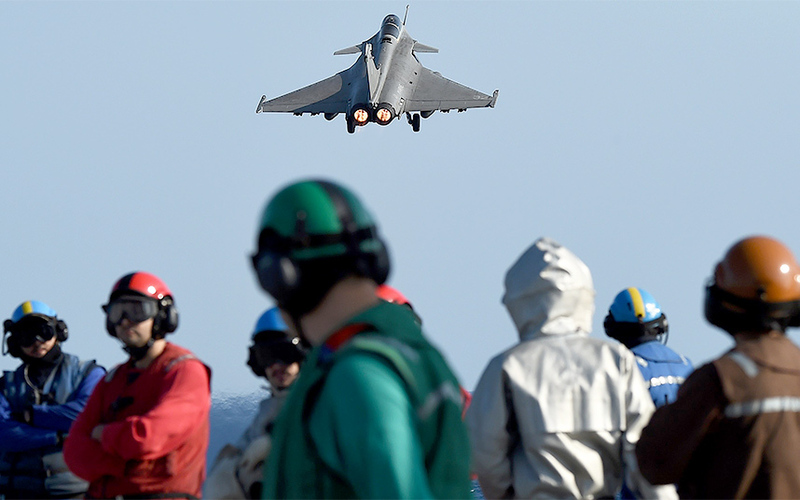 Rafale jets loaded with bombs were catapulted from the carrier's flight deck, an AFP reporter saw. 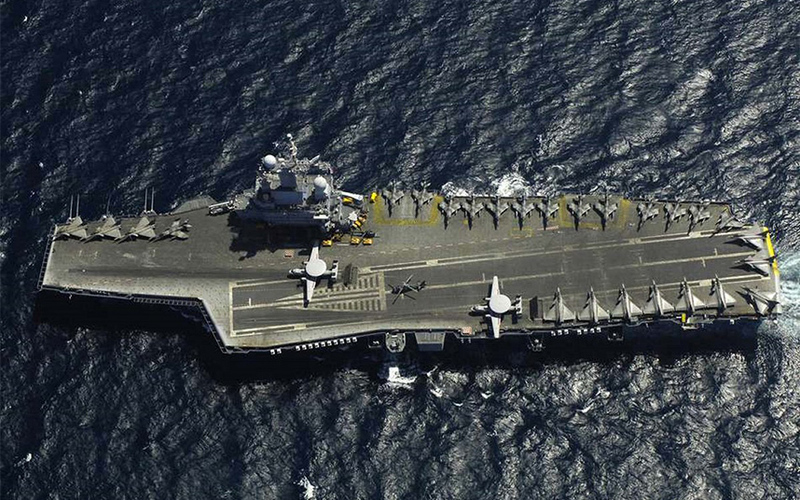 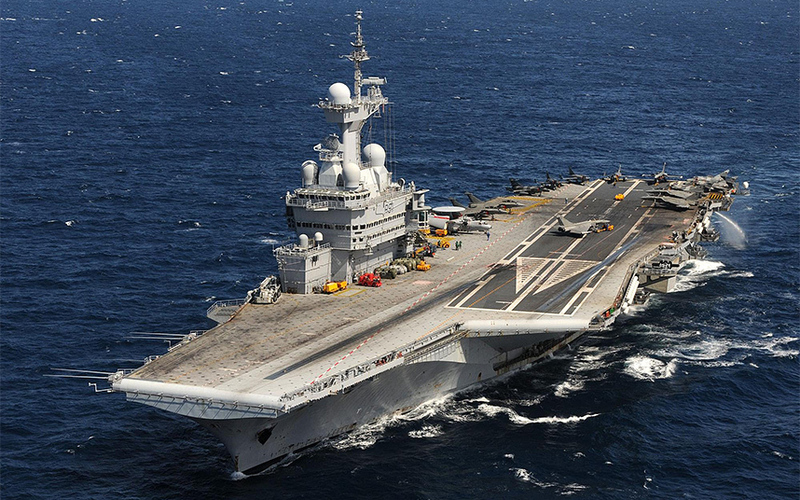 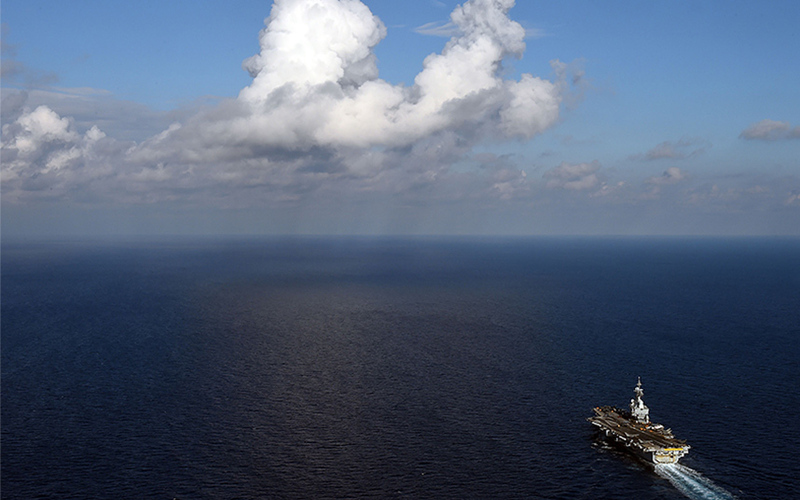 After its operation in the Mediterranean, the Charles de Gaulle will head to the Gulf to relieve a US carrier.